As retail is all about selling, the staff who are on the front line out on the shop floor are the ones who can exert influence upon the buying decisions of the customers. Nobody likes pushy salespeople though, especially when you may just be browsing the merchandise yet there are ways in which shop floor staff are trained to enable them to maximise the selling opportunities. The first point of ‘welcome’ occurs before a word is even spoken to customers. The way your shop window is laid out should be your first point of focus in order to try to entice customers inside. Once they have come into the store, the way the merchandise is set out and the appearance and demeanour of the staff will all have an influence on whether or not the customer decides to stick around. All professional shop floor staff need to be able to approach customers and to be able to put them at their ease and to do so without giving them the ‘hard sell’. A friendly smile and a warm greeting such as ‘Good morning’ is perfectly adequate. It’s often at this stage where a little bit of understanding about psychology and visual cues can help to make the difference. A salesperson might simply follow up a greeting and ask the customer politely, “Can I help you”? Usually, it’s at this stage that a customer will give off a signal to the sales staff that they’re either ‘just browsing’ or that they would be grateful of some assistance. Once customers ask you for help with anything – if you’ve got something in a particular size or colour, for example - this should be every salespersons’ cue for putting their skills into practice. If customers have shown a genuine interest in a particular item, you, as the salesperson, should be able to demonstrate the benefits to the customers’ needs and to answer any questions they may have. Here, you’ll need to show your knowledge about the product and relate that to your perceived needs of the customer. Talented salespeople understand all about cross-selling and upselling. Once you’ve established that the customer has a genuine interest in purchasing a particular item, you have the potential to make more money for your store than just the purchase the customer is interested in. This is called ‘cross-selling’. For example, a lady has shown an interest in a pair of red shoes. Here, it’s an ideal opportunity to show her the matching red handbag that would make a lovely accompaniment. Upselling is where you try to get somebody to buy a more expensive variation of a particular product. An example might be where a customer is looking to buy a DVD player. You might think about asking them questions such as if they ever watch their old videotapes and, if they do, it’s an ideal opportunity to try to interest them in a more expensive DVD player/recorder which allows you to transfer videotapes to DVD. It’s basically about building a rapport with customers and putting them at their ease. When handling objections to a sale, it’s important to listen to what the customer says. It’s also crucial that you’re not too pushy in your approach. For example, if they have objections where you feel you have the product knowledge to be able to disprove their views about a particular product, then you may very well convert a ‘no sale’ into a sale. It’s important you’re not pushy however. 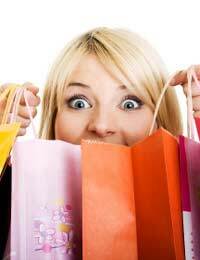 Customers can spot a hard sell a mile off and most of them will rush out of the store never to be seen again. This is all about making sure that the customer is happy with their choice. Ask them if there are any questions they have and if all is fine, then you can proceed to register the sale. Good salespeople need to have excellent interpersonal skills and to have a firm understanding about human psychology where it comes to shopping. However, with good people skills alongside professional sales training, a good shop floor team can make all the difference to a company’s profits.